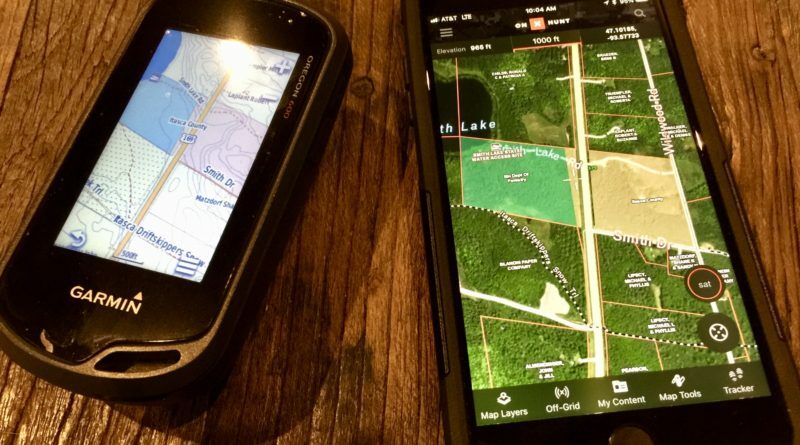 When it comes to backcountry navigation is a dedicated GPS unit or your Smartphone the best device for the task? It’s a simple question with a fairly complex answer. 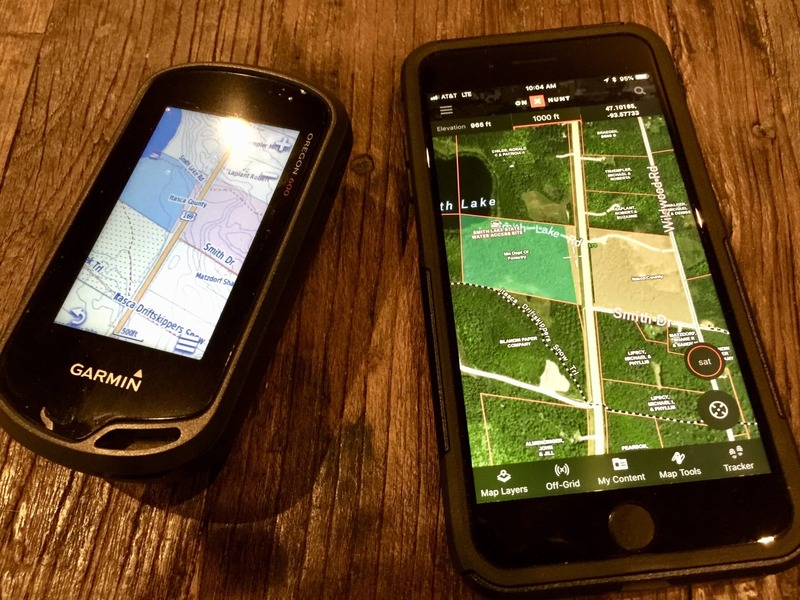 This article looks at the pros and cons of using a dedicated GPS vs a Smartphone for backcountry navigation to help you select the best device for your next hunt. The most common objection to using a smartphone for backcountry navigation is, “Where I hunt there’s no cell signal”. The good news is your phone doesn’t need a cell signal to find your location. Your iPhone (and other smartphones) includes a GPS chip just like the one found in stand-alone GPS devices. You don’t need to set up the GPS chip, but you can turn it off or enable it selectively on the iPhone. As you can see in the above, my iPhone 8 was able to track my position using multiple satellites while in airplane mode. Currently, GPS chips in our smartphones can place our location to about 15 feet, but chip technology continues to advance and the IEEE reports that new chips will be able to place our location to 1 foot in the near future. If you’re GenX or younger, it’s highly likely that you’re fiddling with your phone multiple times throughout the day. It’s a device that we’re intimately acquainted with, to say the least. I find the controls on my smartphone GPS app much more intuitive and easier to use than my dedicated device. I find the maps on my iPhone 8 Plus to be infinitely easier to read than the small screen on my dedicated GPS unit. If you’re reading this article, you likely already own a smartphone and have no need to spend $500 or more for a separate GPS device. One thing that I really like about using my smartphone is that it syncs with my desktop app for easy waypoint management and I can also see the maps and waypoints on my large desktop computer screen. My smartphone instantly turns on and in my testing is faster at finding my location. The big knock against using your phone is battery life. Battery technology continues to get better, and keeping your phone in “airplane mode” will greatly extend your battery life in the field. But, if you’re on a multi-day backcountry hunt, you’re going to need to carry at least a couple of battery packs to recharge your phone, and a solar charger to recharge the battery packs while you’re hunting like this unit from Goal Zero. GPS units are purpose-built to be rugged and most are waterproof to IPX7 standards or better. Your phone will need a rugged case to be suitable for hunt use. Cases by Otterbox and Lifeproof are good choices for hunters. The map on your phone is often updated when you access it. You can test this. Put your phone in airplane mode and pull up maps. Unless you’ve cached your map, you’ll show up as a blue dot on a blank screen. The GPS chip in your phone knows your Latitude and Longitude, but it needs to access the internet to download the map to display to your location. To solve this you’ll need to pre-download the maps of the areas you’ll be hunting with your GPS App. One of the biggest advantages your dedicated GPS unit has going for it is being able to run on AA batteries. My Garmin Oregon runs all day on a couples AA’s and I can easily carry enough replacement batteries for a week in my pack. Most GPS units are rugged little devices with rubber armor and a decent level of water resistance. Your dedicated unit has one mission, navigation, so the typical GPS unit will come with more features and sensors than your phone offers. With a dedicated unit, most come with a base map loaded on the device and then most hunters will augment that with a chip with detailed land ownership and other details for a specific state. No need to worry about pre-downloading maps. Just load your chip and go. I’ve owned several dedicated GPS units over the years and I’ve never felt like I got my money’s worth. They’d get used a few weeks a year and then sit in a drawer the rest of the year and quickly become obsolete. If you use yours a ton, great, but for the occasional user it’s a lot of money to own a dedicated device. My Garmin Oregon has a 3″ screen. It’s a great device that has served me well on several elk hunts, but it simply cannot match the screen size of my iPhone 8 Plus. I find the controls on my dedicated unit serviceable, but not nearly as intuitive as using a GPS App on my phone. The only way to get your data off your device (At least for my Garmin Oregon) and onto your desktop computer is by USB connection. With a phone app, my waypoints are automatically loaded into my account. If you purchase a chip with additional data, you’ll need to update that chip annually to have the most up to date data, often for a fee. If you decide to use your smartphone as your GPS you’ll need to buy an app to take advantage of all the features. 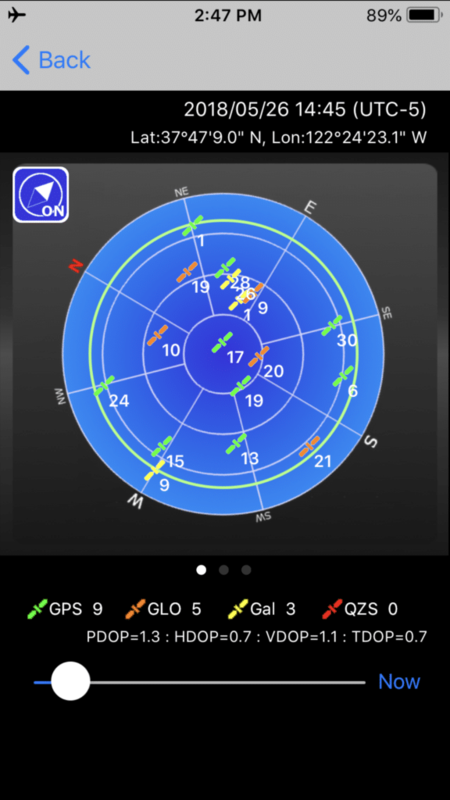 Gaia, Geo-Pak Hunt and onX maps are some of the biggest names in smartphone GPS apps and they’re all available in the App Store. I’m most familiar with the onX Hunt app. They offer access to one state for $30/yr, or they offer a multi-state option for $100/year. I’ve found their public/private property boundaries to be indispensable when hunting in the BLM checkerboard of the West. I also love how I can view at my desktop to plan and set waypoints and then see them on my phone app. Overall it’s a great app for hunters. So which device is better? Your unique situation and use case will likely sway you one direction or the other. Having used both, I’m clearly in the smartphone as GPS camp. For me, it is currently the most cost-effective and user-friendly option.